A Larger than Life Educational Experience! Regal Entertainment Group, Goodrich Theaters and Inland Sea Products are proud to present an extraordinary experience! Our private group screenings are designed to educate, enlighten and entertain! Field trips are fun, economical, and easily arranged. Teachers and students can enjoy a fun lighthearted setting while enjoying plush stadium seating, state of the art surround sound, and crystal clear images in our IMAX® Digital screening auditoriums. Contact our sales team and reserve your event, today! Don’t delay! 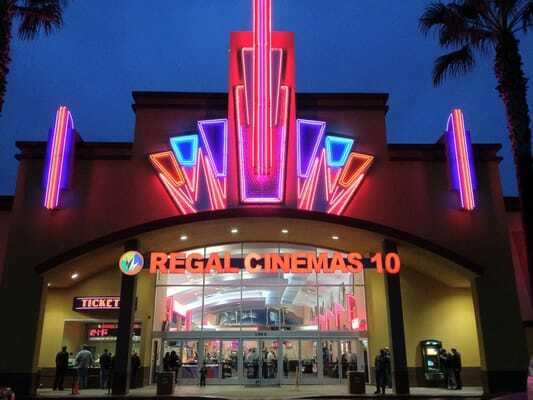 For more information visit Regal Cinema’s Private Screenings website email gsales@regmovies.com or call 1-800-792-8244. You can also fill out the Event Request Form to inquire about group showings. For availability and pricing, please contact groupsales@gqti.com or call 1-800-473-3523 ext 520. Group tickets are priced per person and are available for groups of 10 or more. Group tickets must be booked in advance by calling (904) 940-4010 between 8:30 a.m. and 5:30 p.m. Monday through Friday. The Patriot Park IMAX has a special selection of educational documentaries reserved for tour groups. Contact our Education/Tours Department at nifeducation@nationalinfantryfoundation.org • 706-685-5814to. For tour arrangements or for more information about group scheduling, please contact Janet Fischer, Group Sales Manager at 620.665.9340 or 800-397-0330, ext. 340, or janetf@cosmo.org. With our Teacher’s Choice program, you can select the Giant Screen film that’s right for your class trip to the Museum! For time and availability call 713-639-4659 or email curriculum@hmns.org. Reservations are required for all school programs – just call 402-461-4629, option zero to make reservations or gather more information about group showings. For Group Visits of 10 or more call (502) 560-7141.